Children Are Paint On Asphalt. 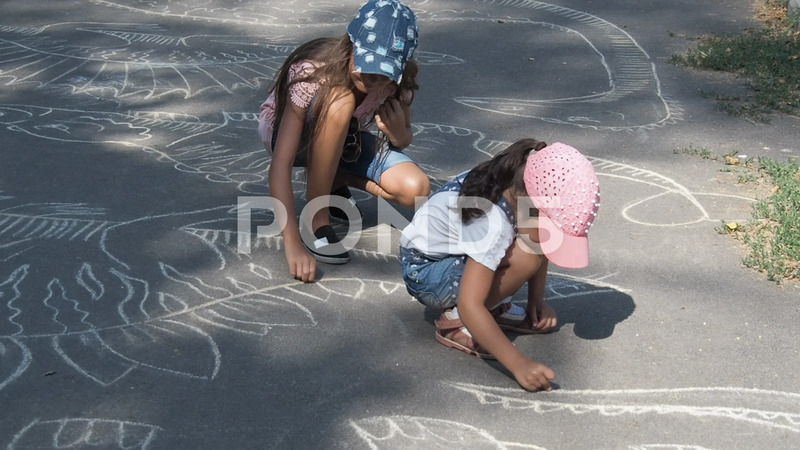 Description: Children are paint on asphalt. Girls are painting with chalk.